If you're looking for amazing and original way to decorate your motorbike, look no further than this adhesive vinyl! 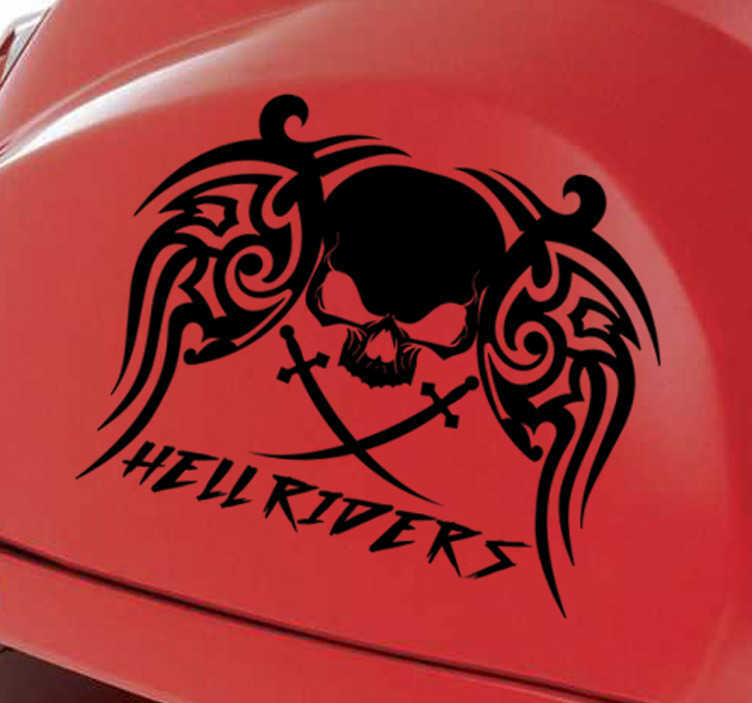 Featuring a winged tribal skull design with two crossed swords and the text "hellriders", if you love nothing more than the open road and your motorbike, this is the decorative sticker for you! Available in a variety of different sizes, this sticker can be applied to any hard smooth surface!